Samsung SM-J105H Charging Paused Battery Temperature Solution Charging Problem Battery temperature too low. As hard as it may be for the average Android user to believe, some Samsung Smartphones actually deny the user the ability to charge the device on account of the device’s battery being ‘too cold’. Samsung Smartphones almost always come with Li-ion batteries, and these batteries only deny a juice refill if their core temperature drops below 4°C. However, numerous Samsung Smartphones, in particular the Samsung Galaxy J1 Mini J105H have been noted to stop charging and display a message that says “Charging paused: Battery temperature too low” regardless of what the core temperature of their batteries is. How to troubleshoot your Samsung Galaxy J1 that shows the error “Charging paused: Battery temperature too low” after having dropped in water. Samsung Galaxy J1 Mini J105H screen turned green and then became black after device got wet due to water splashes phone one is still on according to owner’s testimony but the screen is blank. 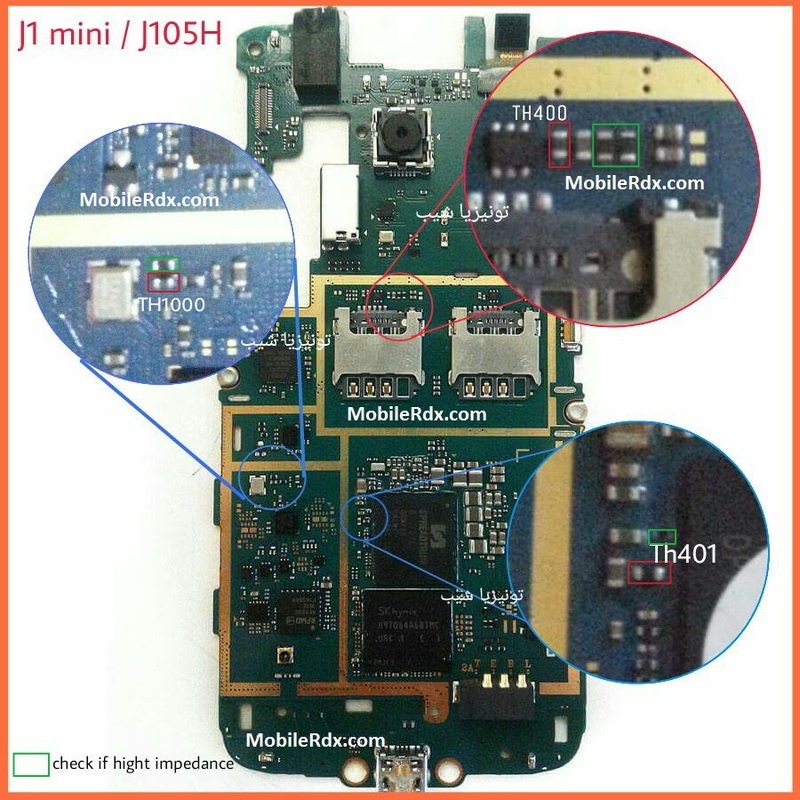 The thermistor is located in the USB charging board (shown in the image above) of most Android devices and almost all Samsung devices, and that is why the first step that a person needs to complete is to buy a new USB charging board for their respective device. Carefully open the device up. Disconnect the device’s USB charging board. Put in place and connect the new USB charging board. Vigilantly put the device back together and boot it up. Keep in mind: The every solution posted on Our website is well tested before by our specialist team, But still we do not take any responsibility for any damage it may cause to your cell phone. Use these repairing solutions at your own Risk, Thank you.